Armistice Day, now Veterans Day, celebrates a war of such sacrifice that has been all but forgotten in the United States. 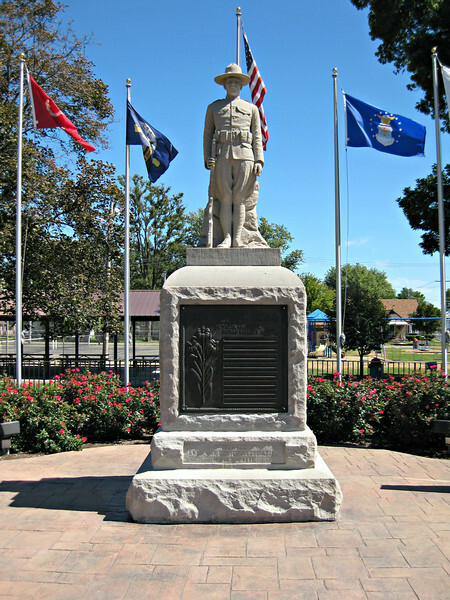 This stone sentry is a World War I Doughboy memorial located in Ladd, an old coal mining town in Illinois. In the decades following the Great War, many communities purchased memorial statues that were marketed across the country (E.M. Viquesney's ''Spirit of the American Doughboy'' and John Paulding's ''Over the Top''). However, the town of Ladd engaged a sculpture to create the statue that has been standing guard since 1919. In 2008, the Doughboy was renovated with local proceeds from bake sales, pancake breakfasts and special events. Quite a success for a town of less than 1,300. Curiously, 1919 is "MCMXVIIII" on the footing.